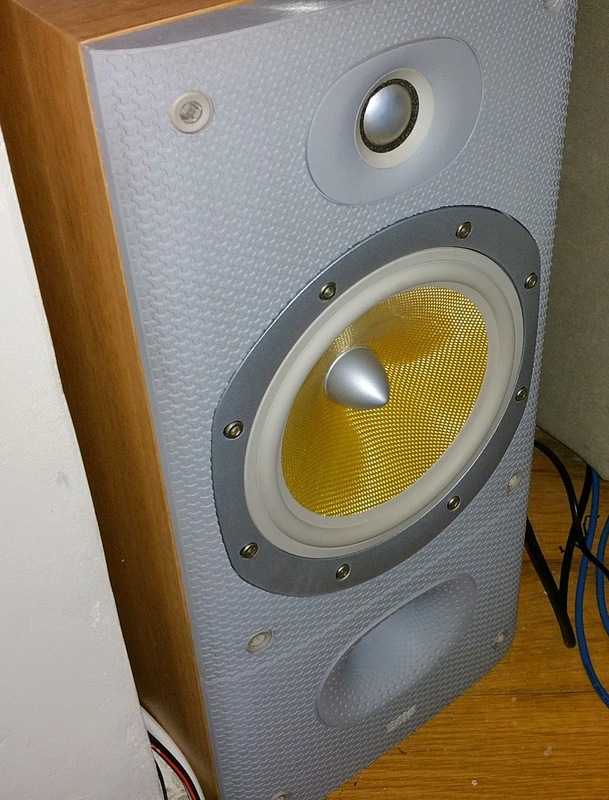 This is a very common issue which occurs on B&W DM600 S3, DM601 S3, DM602 S3, DM602.5 S3, DM603 S3, DM604 S3 (as they all use the same tweeters and probably many others using the same technology) when pushing these tweeters too far (too much power, having the amplifier clipping...) and the coil simply burns as a fuse would. 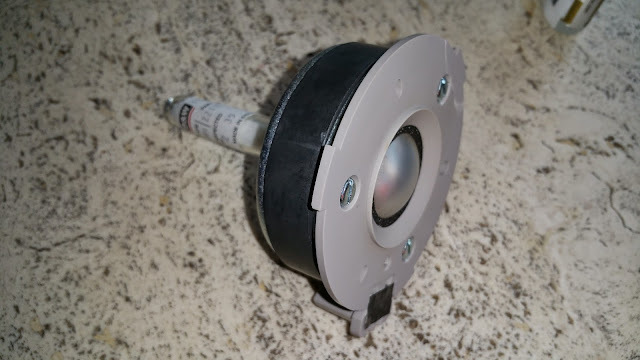 When the coil burns, a repair usually either involves replacing the whole tweeter (with the magnet and everything for about 75€/piece) or only the voice coil (10€ for two but is is way trickier). If you open the tweeter, you will see the wire running from the terminal, looping around the dome and back to the terminal. The coiled part is bathing in a oily fluid meant to cool it down leaving the rest of the wire more exposed to overheating and more likely to burn. 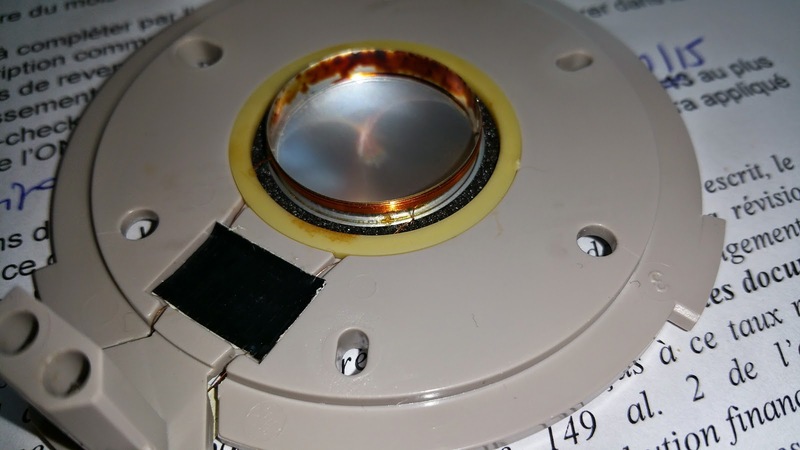 This is a good news because repairing the coil would be close to impossible and the rest of the wire is exposed and therefore accessible for soldering. Finding the burnt part of the wire is difficult and the worst of all is that with both my tweeters the spot where it ruptured was located just next to the coil, glued to the dome. 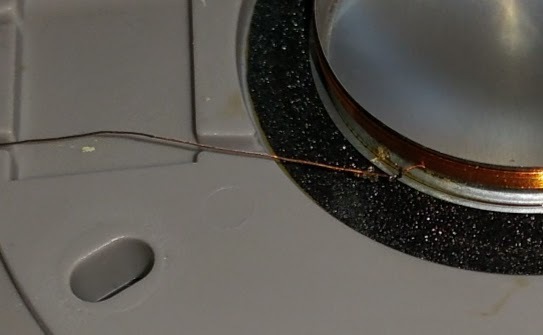 With a sharp blade, I was able to detach a small portion of the coil to solder it back to the wire coming from the connector (use a very thin iron). That's was it, it worked as new! 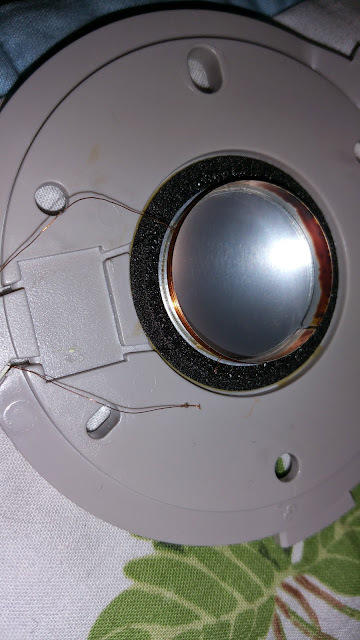 The images below might not be very clear so here is what you should see: the front wire is reattached to the coil with a tiny tiny solder joint.